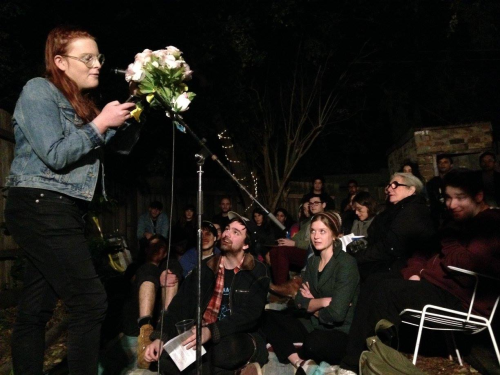 Subbed In is an independent literary organisation and small press, which programs readings, workshops and associated publications staged around Sydney, Australia. We aim to provide grassroots support for new and underrepresented voices as well as helping emerging writers to achieve publication or performance. We acknowledge the Gadigal people of the Eora Nation as the traditional custodians of the land on which Subbed In takes place. A place now called Sydney. We extend our warmest respects to elders past, present and future for they hold the memories, the traditions, the history, the culture and hopes of First Nations people. We acknowledge Sydney as the entry point for the British Government’s invasion of more than 400 nations across the continent and the wars which took place here. We remember the communities, the culture, and lives lost. We never forget the genocide which continues in this country today. We are here today, taking it on and we ask you to take it on, too. We must always remember this land is and always will be Aboriginal land. 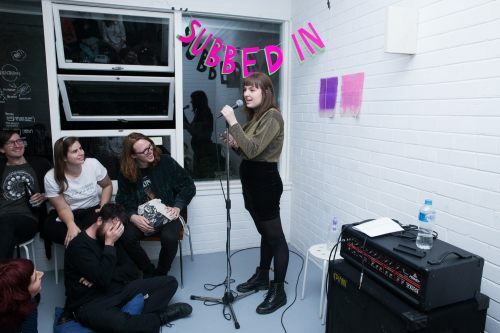 You can stay up to date with all things Subbed In by clicking here to sign up to our emailing list.